Aerosol spray paints are a fantastic way to control your paint. Designed to deliver the right amount of product exactly where it’s needed, aerosol spray paints reduce waste and are easily controlled for maximum effectiveness. Spray paint can be applied in a short time, and can offer a lustrous protective coating on the surface to which they are applied. 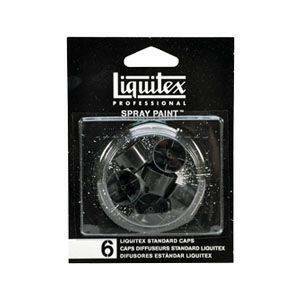 Discount Art N Craft Warehouse are proud suppliers of Liquitex and Ironlak, two of Australia’s best loved aerosol spray paint brands. 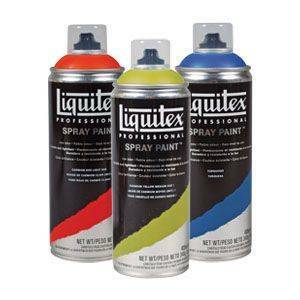 Liquitex spray paint combines artist grade pigments with revolutionary water-based technology to offer colour brilliance, light-fastness and durability. 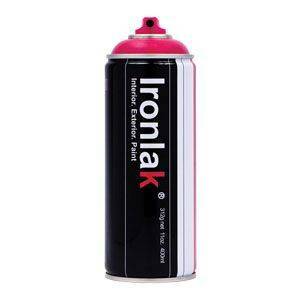 Ironlak is designed to offer the best coverage, great control, and vibrant colour. As well as paint, Discount Art N Craft Warehouse offers spray paint nozzles, canvas, construction, and a range of accessories to make your project come to life. If you’ve always wanted to work with aerosol spray paint, shop our Aerosol Spray Paints range and choose your colours. Your Aerosol Spray Paints can be delivered straight to your door by Australia Post, eParcel or Star Track Express – so you’ll be working on your project before you know it. Take the hassle out of shopping in store and shop online with Discount Art N Craft Warehouse. Not only is shopping with DAC easy and convenient, it can save you a ton too.